Melbourne is renowned for its extreme weather. For instance, during Summer the direct sunlight is not only harsh on the skin, but can also make any home feel uncomfortable without proper air conditioning and window coverings. When it comes to summer heat, your air conditioner gets overworked. Blockout blinds help insulate your home, so you don’t have to have your AC blasting all day. The thick materials help keep direct sunlight out, and cool air in. A major problem with regular shades and curtains is the amount of dust and pollen that builds upon the material. Blockout blinds can be made with low allergenic fabrics to ensure everyone in your home is safe from airborne allergens. Not all fabric window coverings can provide complete comfort and privacy. The thick material that’s used for blockout blinds ensures your space is completely shut away from the outside world. Blockout blinds can make a room feel cosier as well as acting as an extra security measure from prying eyes outside. Blockout blinds are renowned for their sun-proofing capabilities, but they can also help with other external nuisances. Because of its fabric, blockout blinds are also great noise reducers. They can help block out loud noises outdoors. 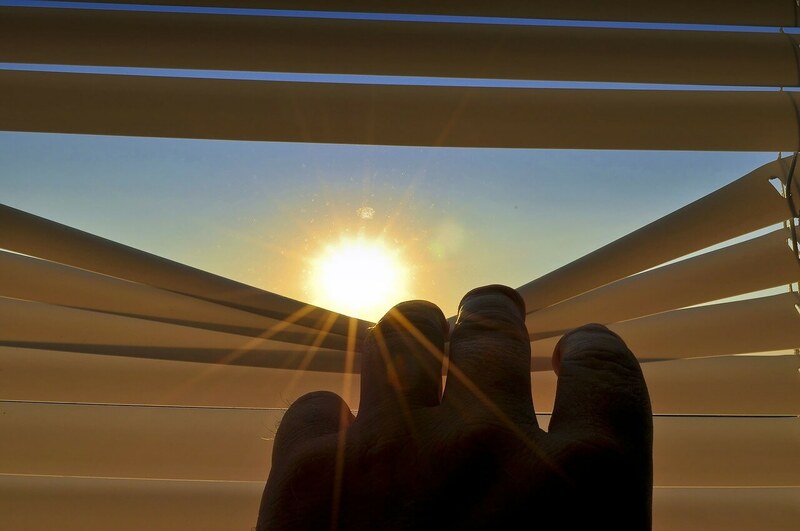 During Summer blockout blinds are outstanding at keeping direct sunlight out. However, these blinds can also help insulate a room during Winter. Because blockout blinds help seal your windows it keeps the chilly breeze out, leaving your space nice and warm during the cooler months. Want blockout blinds installed in your Melbourne home? Get the Awesome Blinds team to match your space with quality blinds and plantation shutters. Contact our expert crew today by calling 1300 550 552.